This stunning, 18th-century estate is in the medieval village of San Verolo, at the foot of the hills. You can relax in the swimming pool, surrounded by lush countryside. At Locanda San Verolo you have every comfort. Each room is complete with a king-size bed, luxurious furnishings, and a marble bathroom. Choose a Suite and in addition you will have a double, hydromassage bathtub. 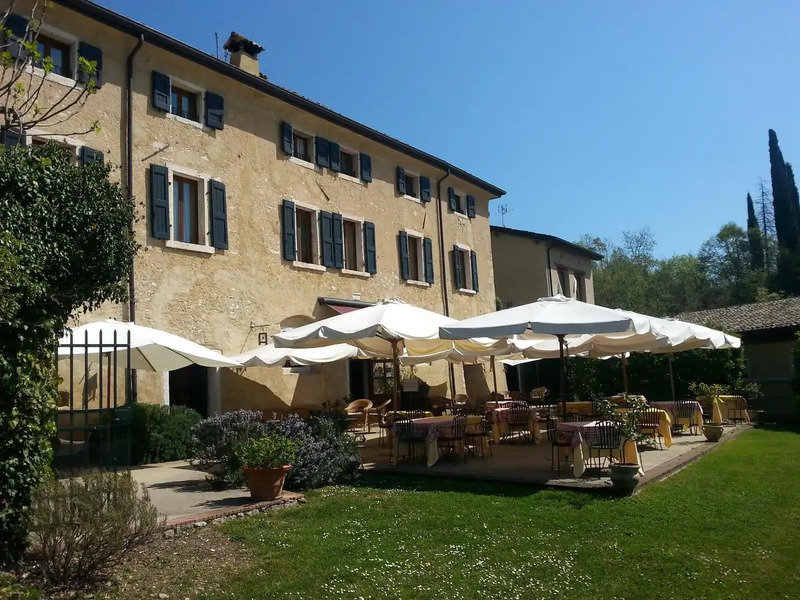 The Locanda is composed of a central villa plus 3 annexes. You will find a small children’s playground and a cosy lounge in which you can mix with other guests and listen to music. In warmer weather, enjoy breakfast and dinner out on the terrace. The restaurant serves a seasonal menu of regional cuisine, prepared using only the freshest, local ingredients. Choose from homemade pasta and grilled meat and fish dishes, plus a tempting selection of desserts. There is also an extensive wine list featuring some of the best wines from the region. You are in a privileged location, close to the beaches of Lake Garda and the heights of Monte Baldo. Popular activities in the area include cycling, trekking, and golfing. The golf course Cà degli Ulivi is just 2 km.